March 24, 2014 bcalvanocoachingLeave a Comment on Weekly Angel Oracle Card Reading for March 24 through 30. Weekly Angel Oracle Card Reading for March 24 through 30. 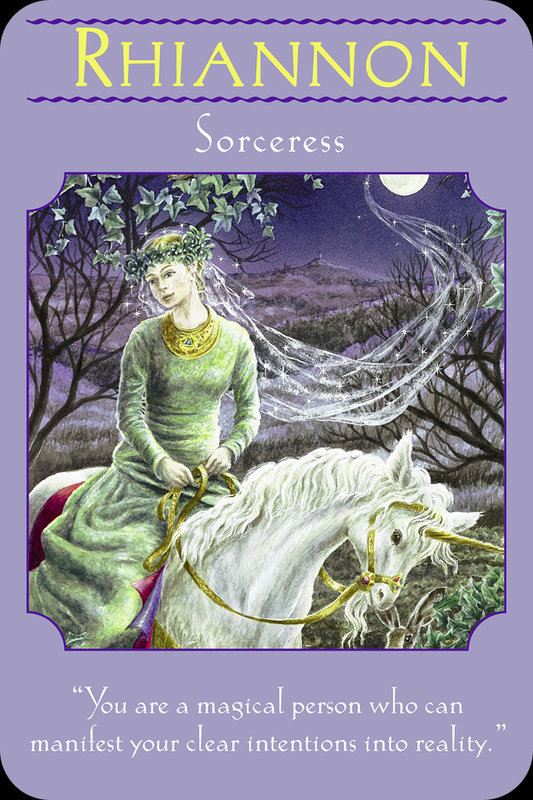 This week I am guided to use the Goddess Guidance Oracle Cards Deck by Doreen Virtue. These messages can assist us in our daily lives this week. Whatever you are dealing with utilize this support to access more grace and ease. Whether you are struggling with health, relationships and or work, by allowing the goddess energy, you may experience more freedom and joy. Whether we are a man or woman we can all tap into our feminine energy. This is the energy of receiving. Here we are being guided to pay attention to our feminine energy through taking better care of ourselves, expressing ourselves more and tuning inwards to connect with our spirit. It’s a message about allowing more passion into our lives. It’s about giving to ourselves first so that we can then give to others. When you dance, exercise or move, you connect to your breath and make a direct connection to your inner power or divine self. Self care including time to exercise and eating healthily gives us power. Call upon Aphrodite if you need support in getting in touch with expressing your passion and self care. Rhiannon’s name means ‘great queen’ and she also supports poets and artists. Call upon her for help with manifestation, spirit communication, transitions and artistic inspiration. Rhiannon reminds us that our power comes from reconnecting with animals and nature. If you have been feeling stuck or blocked she suggests to get outside and notice the stars, moon, sky and trees. Our magical abilities are more present when we spend time in nature and with animals. Keep your thoughts focused on your desires and away from fears. She reminds us that we are so much more powerful than we realize. We can tap into that sorceress power of being able to manifest anything when we regain our connection. These two days are particualrly powerful for calling upon Rhiannon to assist you. Here Sarasvati is reminding us that we may be a bit too focused on material things. We can easily block our creativity and manifesting abilities when affected by worries. By connecting to the arts, especially music we tap into our unlimited potential. She helps us with all creative expressions, such as music, writing, dancing and eloquent speaking. She reminds us to place knowledge and creativity above material possesions. She assists us in focusing our minds on our creative projects and not get distracted with procrastination. Sarasvati reminds us that we are unlimited. Music is essential for the expression of nonmaterial ideas and energies. 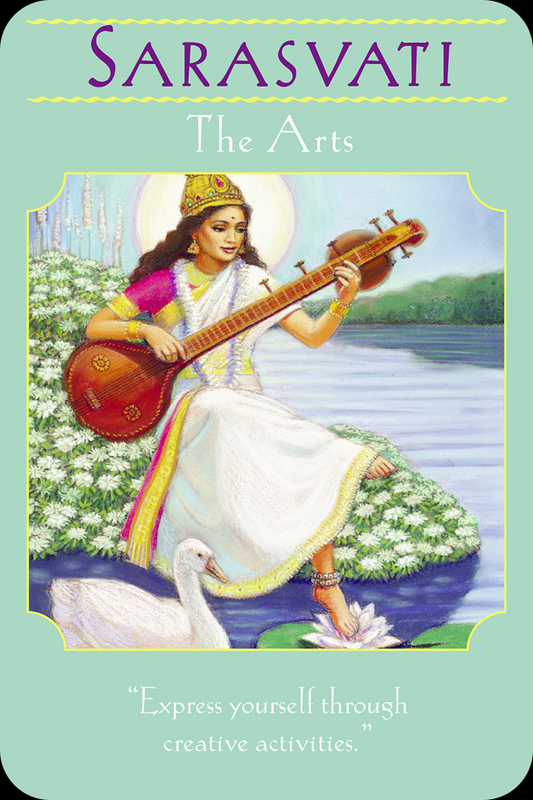 Get into your creative flow with Sarasvati! Enjoy being limitless! This is a week of embracing our passions and strengthening our connection to the Divine! Through self care, being more with nature and allowing music to inspire us we can have a productive week with more grace and ease! Have a glorious week! 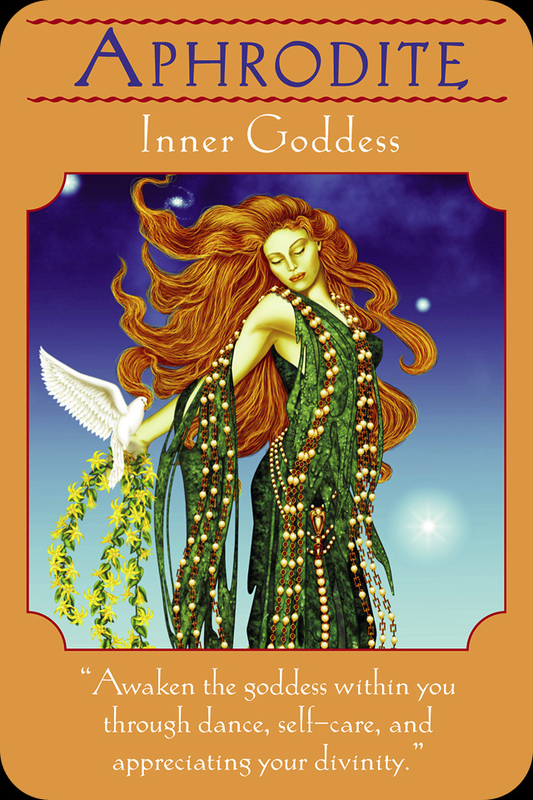 Allow the loving support of the goddesses to assist you! There will be an array of vendors, speakers, healers, speakers and intuitive healers all committed to your empowered mind body spirit! Next Weekly Angel Oracle Card Reading for March 31 through April 6.